The Searchers formed in Liverpool in 1960. Founding member John McNally took their name from a John Ford epic Western movie. Chris Curtis and Mike Pender had been schoolmates of his and Pender had previously played with two other Liverpool groups, The Wreckers and The Confederates. The group soon started playing local clubs and, like The Beatles, also had a spell in Hamburg. They were soon discovered by Tony Hatch who provided them with Sweets For My Sweet from the hit-writing American Pomus/Schuman team and they soon became Liverpool's No 2 band to The Beatles with their faultless, crisp, vocal harmonies. Hatch followed their chart-topper with a composition of his own (written under the pseudonym Fred Nightingale), Sugar And Spice, which peaked at No 2 and was only kept off the top spot by Gerry and The Pacemakers' You'll Never Walk Alone. Their next success Needles And Pins had been written by Jack Nitzsche and Sonny Bono (later of Sonny and Cher) and had been a minor US hit for Jackie de Shannon in 1963. 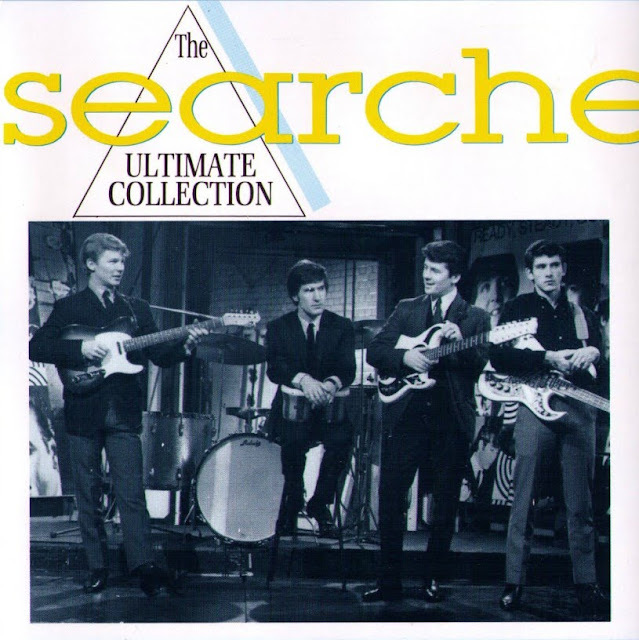 The Searchers added their own unique vocal interpretation to the song and scored their second No 1. The follow-up, Don't Throw Your Love Away, gave them a third No 1 and also followed Needles And Pins into the American Top 20. In early 1964, Tony Jackson, who often felt something of an outsider in the group since the other three had been at school together, left to form his own group, The Vibrations and Mike Pender took over the lead vocals with Frank Allen, from Cliff Bennett's Rebel Rousers, coming in on bass. For their next single they covered Jackie de Shannon's When You Walk In The Room, which climbed to No 3 and they also enjoyed a Christmas hit with the haunting, What Have They Done To The Rain?, whilst Love Potion No 9 was a big US hit for the team on the Kapp label. In the Spring of 1965 they enjoyed another hit with Goodbye My Love and followed this with their first self-penned 'A' side, He's Got No Love. 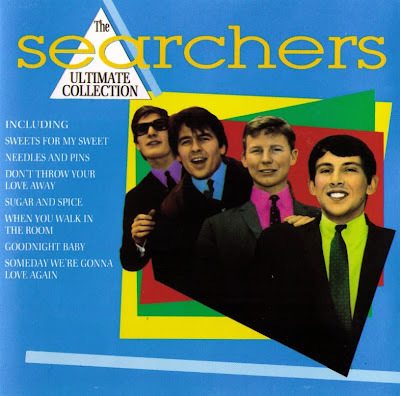 Their strength had previously come from adapting other artists' material but He's Got No Love was a strong song in its own right, but as the beat boom declined so did The Searchers' popularity. In mid-1966 Chris Curtis left the band, cut one solo single Aggravation, did some production work for Pye and then formed his own band Roundabout. John Blunt came in as his replacement. Their last Top 20 hit was with a P.F. Sloan song, Take Me For What I'm Worth. Thereafter they failed to keep pace with the rapidly changing musical scene but continued to record a string of technically faultless 45s of which, Western Union, a hit for The Five Americans in the States, and Popcorn Double Feature, were technically the best. Their dwindling popularity forced them increasingly onto the cabaret circuit but still they soldiered on... recording for RCA in the mid-seventies and then surprisingly signing to Sire in 1979 with a new line-up (D), which included Billy Adamson on drums. Mike Pendergast finally left in 1986. His replacement was Spencer James from First Class. Castle's Ultimate Collection CD compilation, a 24-tracker, is as good a collection of the band's finest moments as one is likely to get.